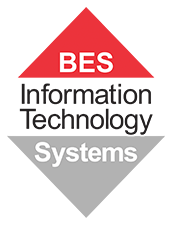 BES IT Systems is a Nutanix partner in Brisbane, Queensland. We can offer a full range of Nutanix solutions. Nutanix enables IT teams to build and operate powerful multi-cloud architectures. Nutanix solutions are 100% software-based, and are built on the industry’s most popular hyperconverged infrastructure (HCI) technology, delivering a full infrastructure stack that integrates compute, virtualization, storage, networking and security to power any application, at any scale. BES can assist you with all your Nutanix enquiries. Nutanix software runs across different cloud environments to harmonize IT operations and bring frictionless mobility to all applications. Nutanix Enterprise Cloud OS software melds private, public and distributed cloud operating environments and provides a single point of control to manage IT infrastructure and applications at any scale. Enterprise Applications: Virtualize tier 1 workloads with predictable performance and scalability. VDI: Make VDI predictable, cost-effective and and risk-free, scaling from pilot to production with ease. Virtualization & Cloud: Eliminate silos and get the best time to value running on a single cost-effective web scale solution. Big Data: Start small and linearly scale Splunk and Hadoop with minimal effort. We can assist your business with all Nutanix solutions! Request a call back by leaving your details and our local Brisbane-based experts will return your call within 3 business hours.